Meet AeroProfessional at Aviation Festival Asia! Have you signed up to meet AeroProfessional at Aviation Festival Asia 2018? If not, you could be about to miss out. Aviation Festival Asia 2018 is set to be an epic event of industry-wide proportions. Over 1,000 industry experts and 2,000 aviation employees will descend on Suntec Convention Centre, Singapore, from 27-28 February. 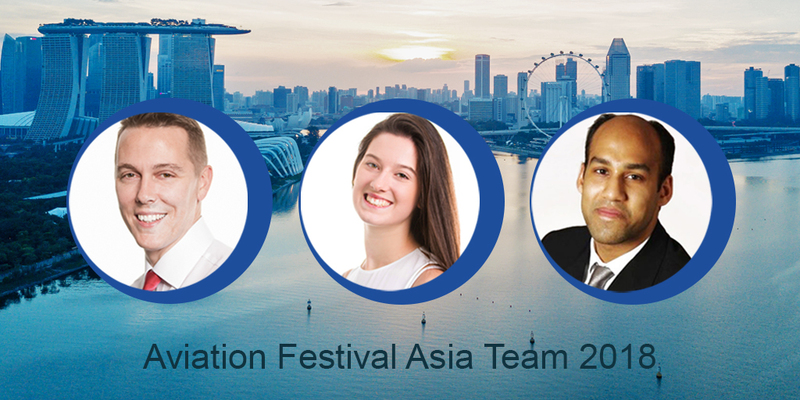 We’re immensely proud to be sending out a dedicated team so you can speak to AeroProfessional at Aviation Festival Asia. Read on to find out everything you need to know. Who’s jetting off to Aviation Festival Asia 2018? Among the longest-serving AeroProfessional staff members, Sam Sprules has risen through the ranks from Business Manager to Director since joining the company. Sam lives and breathes aviation recruitment. During his time with AeroProfessional, he’s overseen the launch of countless successful projects, as well as continued overall company growth. Sam’s set to deliver his presentation on the first day of the festival, and it’ll be well worth a watch. You’ll also be able to find him on our consultation stand. An almost unrivalled expert in the Asian aviation recruitment market, Abrar Ahmad has been our APAC Regional Manager for almost 10 years. Now, Abrar’s set to bring his expertise and experience to Aviation Festival Asia, and play a crucial role in answering queries on our dedicated stand. As Communications and Marketing Manager for both AeroProfessional and our sister company IDGateway, there’s little Jade Haase can’t tell you about aviation recruitment. Jade will be available for everything from quick questions to one-to-one consultations at our dedicated stand. Don’t miss this opportunity to get her take on all your aviation recruitment queries. How can I meet AeroProfessional at Aviation Festival Asia 2018? AeroProfessional Director Sam Sprules will deliver his presentation in the seminar hall at 16:30 on Tuesday February 27. Sam’s presentation will focus on ‘Airline recruitment trends and challenges’. He’ll discuss a wide range of topical aviation recruitment issues, including the pilot skills shortage, specifically to Asia. Our hub for the duration of the festival will be our consultation stand (G12). We’re excited to talk to you about how our six pillars of service can enhance your aviation recruitment strategy. You can even discover which aviation role you’re best suited to by taking our quick, fun ‘aviation personality evaluation’. However, we’re hoping to be very busy, so please register your interest or book in advance to avoid disappointment. The first 10 companies that sign a contract with AeroProfessional for a minimum of two vacancies will receive their first placement 100% free-of-charge. Register your interest or sign up to speak with AeroProfessional at Aviation Festival Asia 2018 and find a recruitment partner that can help you fly higher. Find out more about how our innovative recruitment techniques could transform your aviation company by visiting us at Aviation Festival Asia, or speaking with our friendly team.